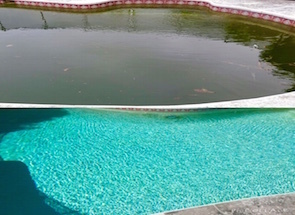 We specialize in superior pool cleaning and maintenance services for residential & commercial swimming pools. Let us do all the work, while you have all the fun. Keeping your pool clean and safe all year long. Our mission is to provide quality and professional pool cleaning and maintenance services to all of our customers. Whether you’re in need of weekly service or one-time clean up, we are here to help. Rely on the trusted professionals at Galaxy Pool Services to ensure your pool is properly maintained and cleaned on schedule. We are always on promt and on-time. Let us keep it blue so you don’t have to. We believe in providing the best value at a fair and reasonable price. Our service plans are tailored to fit your needs and to help you save. We provide the service you deserve at a price you can afford. 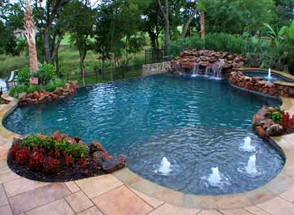 Galaxy Pool Services is dedicated to providing exceptional pool cleaning and maintenance services to our customers. We are a veteran-owned and family-operated pool cleaning service and service the Pinellas and Pasco County area. At Galaxy Pool Services our number one goal is creating a safe and clean swimming pool and spa that is ready for your enjoyment. Our quality of service and consistent attention to detail sets us apart from the rest. 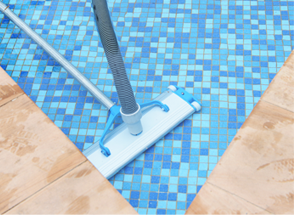 At Galaxy Pool Services we know what it takes to keep your pool sparkling clean, and running at its optimum performance all year long. We take pride in providing honest service that you can depend on and consistently strive to beat your expectations. Our professionalism and experience make us the clear choice for all your pool service needs. "I was looking for a local owned family business and found it with galaxy pool service I would recommend to everyone A+ service and satisfaction"
"I was looking for a local owned family business and found it with galaxy pool service I would recommend to everyone A+ service and satisfaction." effort. Just know we appreciate your hard work. "